Today CommitStrip is sponsored by EclipseCon, and you might be surprised to learn that EclipseCon isn’t just a conference about Eclipse IDE. It’s a conference including workshops on Arduino, Angular, there are various tracks to find out about Science, the Internet of Things, the Cloud, DevOps… and of course Eclipse technologies. 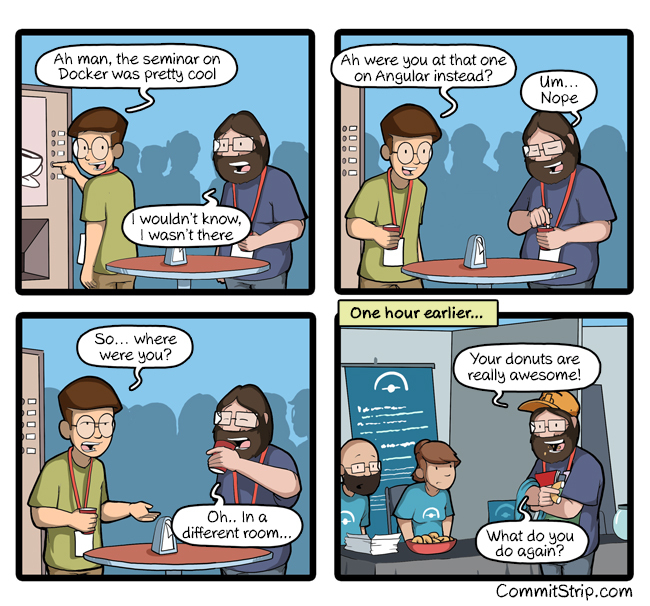 And here’s the best bit: CommitStrip is giving the Keynote on Thursday! It’s all happening in Toulouse, France, from the 7th to the 9th of June, and the conference is entirely in English! Make sure you get your places fast!